This post is only relevant for you if you’re using NServiceBus.Host to host your endpoint(s). As soon as you hit Continue (F5) the process will shutdown without giving you further insight. You can skip to the solution if you already know it’s a binding redirect issue, even though you have added the redirect to the app.config. 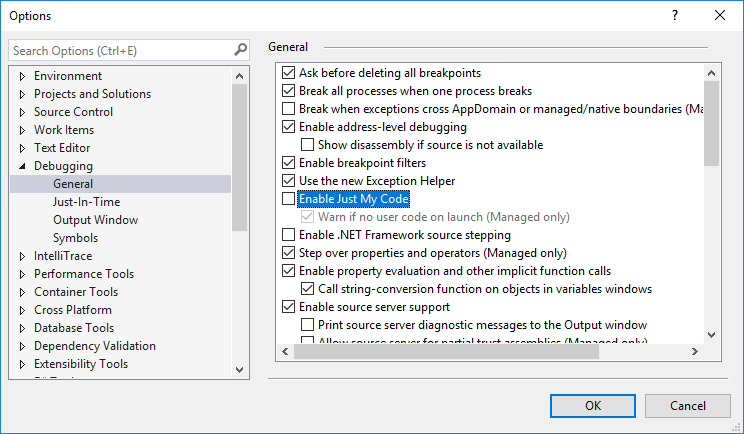 Before investigating further, make sure “Just My Code” is disabled in the Visual Studio Debugging Options. As well as ensuring that breaking on CLR exceptions is enabled. With OzCode (a Visual Studio Debugging Extension I personally don’t want to live without) it’s a simple click of a button. Now, debug the endpoint once more from within Visual Studio. You should get a ReferenceTypeLoadException in the debugger. Open the exception details and drill into the LoaderExceptions. You will get an exception message similar to mine. It seems that an assembly (or a binding redirect) is missing. You check both and come to the conclusion it should be fine. The assembly and a matching binding redirect is in your app.config file, it’s expected to work. The problem is, that NServiceBus.Host.exe has it’s own config which is missing the binding redirects from your app.config. Why didn’t this happen before, you ask? My understanding is, that you had the same version of the now missing assembly (in my case log4net) as NServiceBus (or one of the extensions). Now that you updated yours to a newer version they don’t match. The easiest solution I came up with is the following. Copy your app.config file over the NServiceBus.Host.exe.config in your output folder. This way NServiceBus knows the binding redirects and starts properly. You can easily achieve this by adding the following line in the “Post-build event command line” in your project. Are you using OctoPack to automatically create a deployment package without a detailed .nuspec file? Simply add a file called NServiceBus.Host.exe.config to the root of your project. Set “Copy to Output Directory” to “Copy if newer”. Add the following content to make it a valid xml. The empty file will be replaced by the post build step from above. Adding the file to the project tells OctoPack to add it to the deployment package. Now your endpoint should be fixed. Thanks to the people at Particular, the makers of NServiceBus, who helped me in their gitter channel with all my questions while migrating from v5 to v6. Please comment if you need more advise or something is unclear. I have recently had this issue and came to the same conclusion, although I have found that the presence of an NServiceBus.Host.exe.config even without runtime/bindingredirects cures the problem. Your solution makes perfect sense, a top level config file with everything in it. However, are you able to help me understand my situation, whereby having an NServiceBusHost config that is missing the redirects but automagically gets them from my app.config? I’m glad you found an answer to your question. 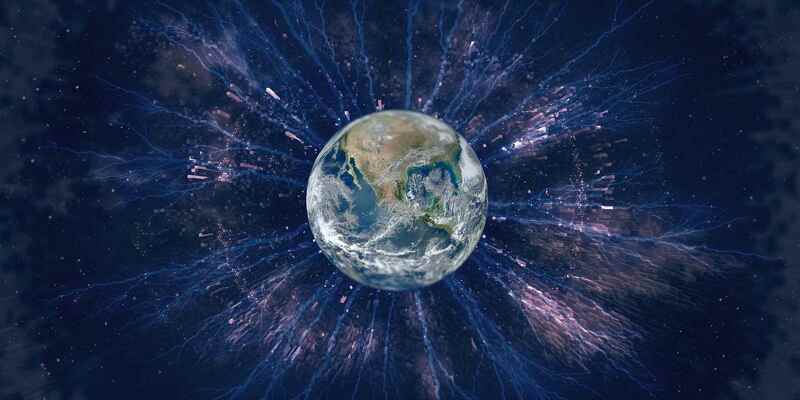 Going further you should update to a self-hosted implementation as suggested by Particular. Please keep in mind that depending on your support agreement with Particular your version of NServiceBus might no longer be supported. See their Support site. You should try to move to an up-to-date version of the libraries, not only NServiceBus, you use to ensure security updates and compatibility.